We all get excited about the holidays and once it gets to those last days leading up to them, it’s always hard to stay focused. Kids are eager for the time off and fun spent with family and friends. However, these last few days are usually filled with tests and projects that are due, so it is important to make sure to teach kids to take school work seriously. Once they are completely done with their work is time to celebrate and enjoy their time off. With all of the craziness that follows families these days, sometimes a little family bonding is hard to come by. However, it is so important to carve out time to spend together. One great way to guarantee this family time on a regular basis is to implement a family walk after dinner several (or more!) times a week. The benefits of a family walk go along way. In addition to the entire family getting in some exercise, the conversation time is priceless. This is a time that is free of technology and a great opportunity for everyone to talk about their day. Luigi Liver is excited about the chance to walk to dinner at night with his family, but also discovers the other benefits of a family walk as well. We’ve loved our latest kid’s blog series teaching kids about setting goals. We were then eager to teach them about working hard to achieve these goals, making sure they followed through. Now, we are just as excited to talk about how accomplishing goals is such an important life skill for kids to learn. So many times throughout their lives they will be faced with challenging situations in which it may be tough to commit to something long term. Accomplishing goals that they have set from the infancy stage gives kids a great sense of accomplishment when they finally attain them. 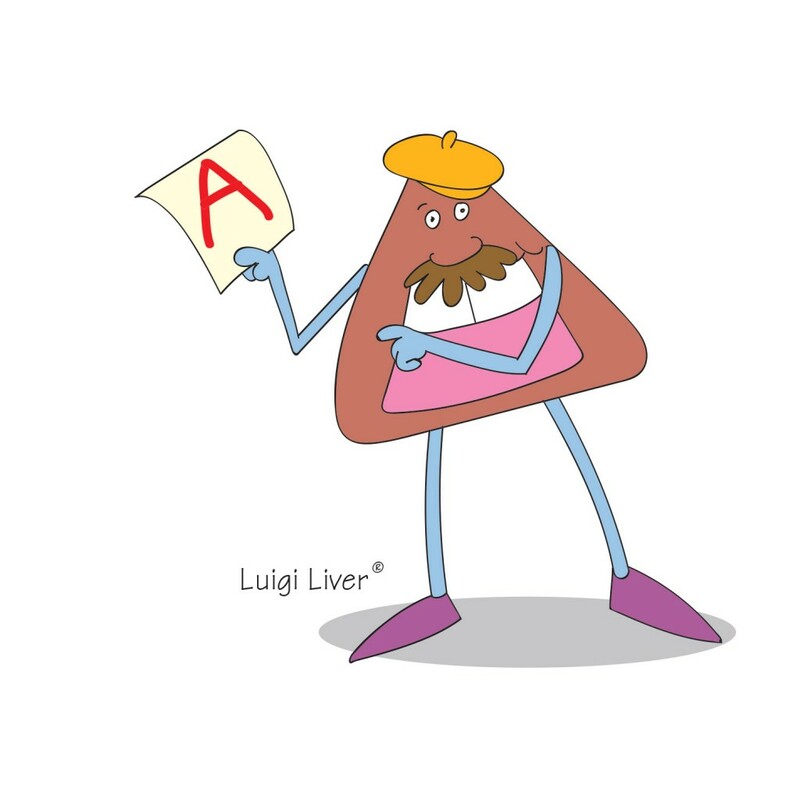 Make sure and download the coloring sheet for today so the kids can follow up with Luigi Liver and see how he was successful in accomplishing his goals! There are a number of life lessons that kids need to learn as they grow up. One very important lesson is to teach kids to follow through on whatever it is they set their mind to do. This can be true in everyday life, in sports, housework, and even at work later on down the road. Once a decision has been made, or a goal has been set, teach kids to follow through with this decision or goal. This is such an important character trait to instill at a young age. Have a discussion with your kids about setting some goals. Come up with some goals for inside the house and also outside the house. Try and let the kids initiate the idea and then you can write them down and hang them on a wall where they are easy to see. This will serve as a reminder that these goals have been set and will teach kids to follow through. Also, make sure and download the fun coloring sheet below for the kids to color as well! This year I have decided that I’m going to focus on a new healthy habit each month. You know why? Because if you do something every day for an entire month, chances are you won’t even have to think about doing it in the future, it just becomes a habit. This is pretty great, especially when that something is about living OrganWise and making healthy choices. In order to help us track these behaviors each month, Sir Rebrum created tracking sheets to download, print out and hang up at home or in your classroom. Spread the word and let others join in the fun of getting healthy! This month’s habit is making low-fat choices that are wise. For me, that means low-fat cheese with whole-grain crackers during snack time, fruits and veggies with lunch, and asking my parents to make baked chicken or fish for dinner. All of these foods are low-fat and delicious so they sound like wise choices to me! After you download the behavior tracking sheet from above, make sure and also download the coloring sheet.